The Best Jewelry Making blogs from thousands of top Jewelry blogs in our index using search and social metrics. Data will be refreshed once a week. Also check out Jewelry Making Videos from Best 30 Jewelry Making Youtube Channels. Jewelry Making newsletter is a comprehensive summary of the day's most important blog posts and news articles from the best Jewelry Making websites on the web, and delivered to your email inbox each morning. To subscribe, simply provide us with your email address. Cambridge, Canada About Blog Your best source of jewelry making tutorials, tips, cool inspirations, trends and much more. Facebook fans 14,499. Twitter followers 3,520. Redwood City, CA About Blog Blog by Beaducation.com, a one-stop shop for all your jewelry making needs. In addition to hundreds of online video classes for beginners and advanced jewelry designers alike, we carry thousands of high quality tools and supplies. Facebook fans 33,738. Twitter followers 8,973. About Blog Jewelry Making Journal — free jewelry tutorials, plus a friendly community sharing creative ideas for making and selling jewelry. Facebook fans 8,054. Twitter followers n/a. Minnetonka, MN About Blog The GoodyBeads blog is for all beading enthusiasts, lovers of handmade jewelry and hobbyists of all kinds. Facebook fans 41,109. Twitter followers 862. U.S.A. About Blog The Official Beadaholique Blog , your online source for beading & jewelry supplies, projects and instructions. Facebook fans 176,594. Twitter followers 13,853. Kuala Lumpur About Blog DIY Jewelry Making is a membership site dedicated for DIY Jewelry Making ,Bracelet making and beading. You'll get to see an array of jewelry making tutorials, carefully created, chosen and compiled, aiming to teach all skill levels. Facebook fans 318,327. Twitter followers 1,723. Facebook fans 9,058. Twitter followers 888. About Blog Looking for unique jewelry making ideas or tips on how to make jewelry? Look no further. The crafting experts at Crafts Unleashed offer a wide variety of easy jewelry ideas, inspiration and more. Facebook fans 114,457. Twitter followers 4,848. New York About Blog Jewelry Making Crafts and Motivation for Millennial Moms! A crafty NYC mom blog with a positive twist. Facebook fans 113,913. Twitter followers 7,218. Dundee, Scotland About Blog Contemporary jewellery by Genna Delaney. Genna designs and makes jewellery in silver, gold and other precious metals with semi/precious stones. Facebook fans 1,505. Twitter followers 2,883. About Blog Comprehensive blog about all kinds of fashion beads for jewelry, fashion accessories and fashion jewelry trend. Providence, RI About Blog Tools and equipment for jewelry making, jewelers, jewelry manufacturing companies and metal finishers since 1976. Facebook fans 6. Twitter followers 15. Calgary, Alberta About Blog Constant arrival of new, irresistible treasures, to creative jewellery-making classes, to in-store events & sales, to FREE Make N Take sessions. Facebook fans 1,105. Twitter followers 310. Lanesboro, MN About Blog Michael Seiler is a goldsmith and jewelry designer in Lanesboro, MN and has been working in the metal arts since 1995 mastering the techniques of fabrication, stone setting, wax carving, stone cutting and stone inlay work. His goals are to create new and innovative techniques in stone setting and ring design combining lapidary and metal work. About Blog The thoughts and ramblings of a jewellery maker. Fort Worth, Texas About Blog Dedicated to creating handmade, sterling silver, stamped, rings, bracelets, and necklaces that celebrate the special moments in life. Facebook fans 20,157. Twitter followers 1,157. Nottingham, UK About Blog Make & Fable is a UK based craft and creative lifestyle blog, a handmade jewellery line and host of creative workshops. Facebook fans 359. Twitter followers 1,080. About Blog A blog about creating handmade metalwork jewelry in copper, bronze, sterling silver and enamel. Utah About Blog Hoops By Hands was started by four sisters (and a couple adorable sisters in law) who have a passion for jewelry. Hoops By Hands offer Beautifully Hand Crafted Hoop Earrings with 100% Satisfaction Guaranteed. Facebook fans 453. Twitter followers 73. Facebook fans 3,542. Twitter followers 642. Facebook fans 2,088. Twitter followers 278. About Blog Maryhardingjewelry bead blog is about making ceramic beads and other jewelry components out of clay and sometimes about how to use them in jewelry. Northampton, England About Blog Blog by Fiona Chapman, Mother, Jewelry maker, Freelance writer, Women's Fiction author and lover all things crafty. Brick Lane, East London About Blog Original, playful laser cut acrylic jewellery by Tatty Devine. Facebook fans 36,462. Twitter followers 31,462. Facebook fans 51,963. Twitter followers 11,468. 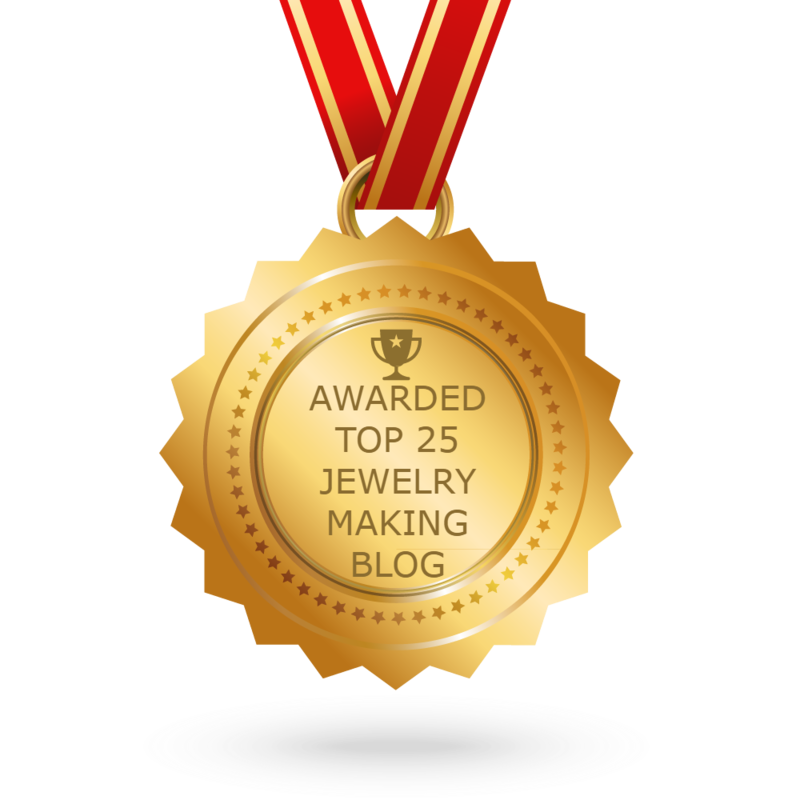 CONGRATULATIONS to every blogger that has made this Top Jewelry Making blogs list! This is the most comprehensive list of best Jewelry Making blogs on the internet and I’m honoured to have you as part of this! I personally give you a high-five and want to thank you for your contribution to this world.